Oatmeal has been used for centuries as a soothing agent to relieve itch and irritation associated with various xerotic dermatoses; however few studies have sought to identify the active phytochemical(s) in oat that mediate this anti-inflammatory activity. Avenanthramides are phenolic compounds present in oats at approximately 300 parts per million (ppm) and have been reported to exhibit anti-oxidant activity in various cell-types. In the current study we investigated whether these compounds exert anti-inflammatory activity in the skin. We found that avenanthramides at concentrations as low as 1 parts per billion inhibited the degradation of inhibitor of nuclear factor kappa B-α (IκB-α) in keratinocytes which correlated with decreased phosphorylation of p65 subunit of nuclear factor kappa B (NF-κB). Furthermore, cells treated with avenanthramides showed a significant inhibition of tumor necrosis factor-α (TNF-α) induced NF-κB luciferase activity and subsequent reduction of interleukin-8 (IL-8) release. 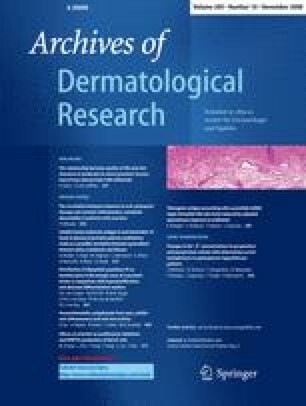 Additionally, topical application of 1–3 ppm avenanthramides mitigated inflammation in murine models of contact hypersensitivity and neurogenic inflammation and reduced pruritogen-induced scratching in a murine itch model. Taken together these results demonstrate that avenanthramides are potent anti-inflammatory agents that appear to mediate the anti-irritant effects of oats.